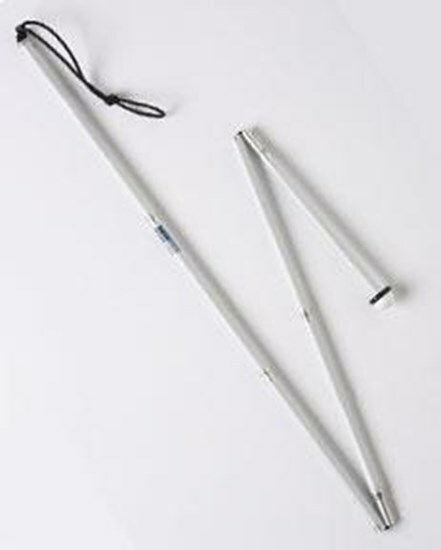 Folding symbol canes consist of durable aluminum pipes of 0,5 inch diameter that tightly connect with each other. Inside there is a long, double, elastic rope which joints the pipes together. 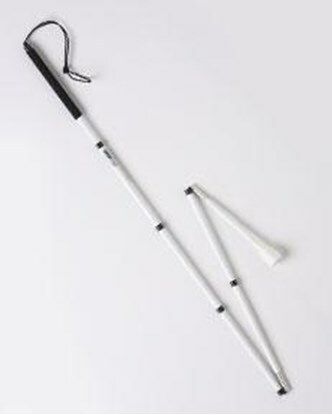 The white canes serve as the blinds’ arms extensions that are inseparable companions in their everyday life. That is why, it is important to make them durable and reliable. If you also want the cane you buy to be well made, we recommend you the canes made by the Canadian company – AmbuTech.